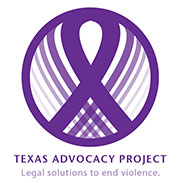 The Hope Line is staffed by attorneys during business hours who provide assistance to Texans on a variety of civil legal concerns related to domestic and dating violence, sexual assault, and stalking. Many legal problems are made worse when people delay asking for assistance. Additionally, many legal remedies are time-sensitive. You must have a civil legal problem. Our attorneys on the legal lines cannot assist with criminal problems. If you’re not sure whether you have a civil legal problem, please do call us to find out. Gather facts and documents before you call. The legal line attorneys will be able to give you better advice if you have specific and accurate information. If you are calling with questions about a court order, please have a copy of the order on hand. You will be asked for personal information. When you call, the first person you’ll talk to is an Intake Specialist. They will gather information to make sure you qualify for our services. They will also gather other personal information, including date of birth, zip code, marital status, and income. Don’t worry: All of your information will be kept confidential and protected by the attorney-client privilege. That’s the rule that attorneys don't have to share what their clients tell them with anyone. You will be asked to describe the legal help you need. You will need to describe your legal problem as briefly as possible (example: "I'd like to divorce my abusive partner."). Project attorneys will ask for more detailed information during your consultation. An attorney will return your call. If you qualify for our services, an attorney will call you within three to five business days. You will need to give us a number where we can call you back. Legal advice and counsel, perhaps with follow-up information provided. Referral to other agencies in your area for additional assistance. Further assistance with your case through assisted pro se services. When resources allow and justice demands, direct representation.